From there, it didn’t take long for us to realize that Bramhall also wrote two of the tracks (“I Wanna Be” and “Marry You”) covered by Clapton and B.B. King on the previous year’s Grammy Award-winning collaboration Riding with the King, in addition to playing on most of that album as well. That project would, in fact, be the start of a long and productive relationship that would find Bramhall joining the legendary guitarist in the studio and/or on tour for much of the next decade and a half, with Bramhall even helping to produce the Clapton and Old Sock albums. Along the way, Bramhall has also played with or written or produced for artists including the Tedeschi Trucks Band, Sheryl Crow, Roger Waters, Elton John, Gregg Allman, Allen Toussaint, and T-Bone Burnett, while his pre-Clapton years included stints with Jimmie Vaughan’s The Fabulous Thunderbirds and as a co-founder of the Arc Angels with Charlie Sexton and Double Trouble members Chris Layton and Tommy Shannon. We’d be remiss to not point out that Bramhall is one of those guys who has blues in his blood, with his late father having played drums behind such legends as Lightnin’ Hopkins and Freddie King, as well as childhood friends Jimmie and Stevie Ray Vaughan, the latter of whom also recorded a few tracks written or co-written by the elder Bramhall in “Life by the Drop”, “Change It”, “Lookin’ Out the Window”, “Tightrope”, “The House is Rockin'”, and “Dirty Pool”. We really dug Doyle I’s solo material and have long thought him to be among the most under-appreciated artists in modern blues. Fortunately, it’s been much a different story for Doyle II, thanks in part to that mentorship from the likes of Clapton and Jimmie Vaughan as well as perhaps a bit more versatility both vocally and musically (or at least more opportunity to display it) than his father. 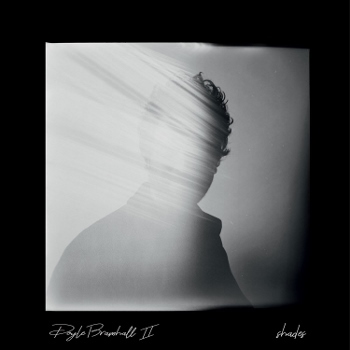 Doyle II makes his debut with the Provogue Records/Mascot Label Group on Shades, a 12-track collection that nicely illustrates the broadening spectrum of Bramhall’s work. There is, of course, the grungier blues rock sound with which longtime fans will be familiar, as heard on such tracks as the hard-driving “Hammer Ring” and a Cream-ish “Live Forever” on which Bramhall is joined by fellow Texas musicians the Greyhounds as well as Charlie Sexton on piano. But there’s also a wide range of other sounds, from the desperate vocals and Indian strains of “Parvanah” and a horns-accented, Beatles-esque “Consciousness” on which Bramhall plays drums and piano (in addition to his usual work on guitar and vocals) while Adam Minkoff adds more textures on farfisa, harmonium, vibraphone, resonator, acoustic, and clavinet, to a groovy, swaying “Everything You Need” that features Clapton on guitar; the tender piano ballad “Break Apart to Mend”; and a higher-vocaled, strings-laced “London to Tokyo”. Two of the album’s best numbers also include guests, with Norah Jones joining on vocals and piano for an elegant co-written “Searching for Love” that may be the best duet we’ve heard since Stevie Nicks and Tom Petty teamed for “Stop Draggin’ My Heart Around” and the Tedeschi Trucks Band backing Bramhall on his closing take of Bob Dylan’s “Going Going Gone”. It was hard to imagine anyone doing a better cover of this song than Gregg Allman did on his Southern Blood album, but that’s exactly what Bramhall and friends accomplished here, with Bramhall’s powerful interpretation, Trucks’ slide guitar playing and the band’s backing vocals all helping to lift this track to even greater heights. Although his overall style may have mellowed somewhat through the years from the edgier blues rock that mostly made up his Welcome and Jellycream albums, Bramhall shows that he’s still got plenty of good stuff to offer — arguably some of the best music of his career — on Shades. 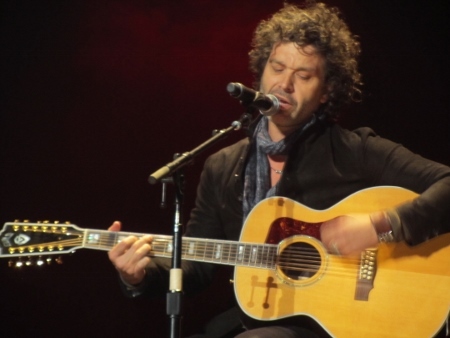 This entry was posted in Albums and tagged Arc Angels, Charlie Sexton, Doyle Bramhall, Doyle Bramhall II, Eric Clapton, Greyhounds, Norah Jones, Tedeschi Trucks Band. Bookmark the permalink.